The members of the Judiciary Committee heard testimony Feb. 1 on a bill that could make certain nonviolent inmates eligible for early or temporary release. 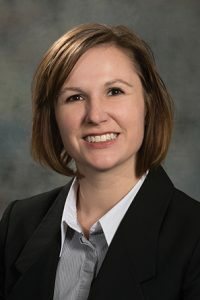 Under LB852, introduced by Lincoln Sen. Kate Bolz, terminally ill inmates could be considered for medical release by the state Department of Correctional Services. Bolz said the bill is intended to help safely and responsibly address current overcrowding issues in the department and reduce recidivism upon inmates’ release. The department would have sole discretion in reviewing the medical, institutional and criminal records of such an inmate and determine whether he or she is eligible for medical release. The inmate must agree to the alternative placement in a hospital, hospice or other housing suitable to his or her medical condition. The inmate’s family home could be considered an acceptable alternative under the bill. If an inmate’s health dramatically improved to the extent that medical release would no longer reasonable, the department could hold a review hearing to potentially terminate the release. If medical release were revoked, the inmate would serve the balance of his or her original sentence in a secure facility. LB852 additionally would allow the department director to temporarily release inmates to participate in substance abuse evaluations or treatment, attend rehabilitative programming or treatment, seek residency or employment, or participate in structured programming. Finally, the bill would expand the definition of programming permitted by the Office of Parole Administration to include evidence-based peer and family support programs. Jerall Moreland, deputy ombudsman for institutions, spoke in favor of the measure, saying the department could begin to address its overcrowding issue under LB852. “We believe the state could realize a benefit from this bill and its guidelines that could assist in identifying the appropriate inmates that do not pose a threat to the community,” he said. The bill will give the department the tools and flexibility to manage its population, said Inspector General of the Nebraska Correctional System Doug Koebernick in support of the measure. “This boils down to treating people who are suffering in a humane manner and freeing up staff time and resources,” Koebernick said. No one testified in opposition to the bill and the committee took no immediate action on it.